In one of their latest posts, TNG touts the fact that venting and flaring of associated gas has fallen 17 percent from 2013 to 2016. This reads like good news. Unfortunately it’s not the full story. Emissions from the venting and flaring of associated gas – essentially the gas that is produced as a byproduct of oil – are only a small percentage of industry’s total pollution, less than 0.5 percent. If you look at total emissions from oil production, emissions actually increased 8 percent during that time period, which is hardly worth celebrating. TNG also notes emissions from natural gas well completions dropped by over 80 percent over this same time period. Again, this reads like great progress, but it’s important to consider why the numbers from this activity fell so rapidly. A further look at the data suggests two critical factors. First, development of new wells declined. A lot. In 2013, the industry hydraulically fractured 7,382 new natural gas wells for development. In 2016, that number plummeted to 3,105 largely due to falling natural gas prices. That’s nearly a 60 percent drop, so it’s no coincidence that pollution associated with well completions similarly declined. Second, new regulations also played a role. In 2015, the U.S. Environmental Protection Agency started requiring drillers to use “green completions” when preparing a new well – a practice that studies show is successful in eliminating 99 percent of emissions from this activity. While new standards to reduce emissions have been effective at controlling a portion of industry’s pollution, recent research suggests additional actions are necessary in order to ensure natural gas lives up to its billing as a cleaner energy source. A recent study in the journal Science, finds that methane emissions from the U.S. oil and gas supply chain are likely 60 percent higher than what is reported in the government’s official estimates. These methane emissions double the climate impact of using natural gas for energy, and mean the industry is letting about $2 billion worth of natural gas escape into the atmosphere each year. While TNG neglected to reference the findings of this major study in their most recent blog post, the group does acknowledge the new scientific advancements and understandings that help inform our nation’s inventory of greenhouse gasses. Each year, the EPA releases a new estimate of our nation’s total greenhouse gasses, which as we’ve mentioned, fluctuates based on industry activity and new understandings about where and how emissions occur. In fact, much of the work EDF has done to learn more about industry’s emissions has had a direct impact on how the U.S. accounts for its climate pollution. TNG leaned hard on the fact that EPA revised downward its estimates of emissions from associated gas, which (again) is only a tiny portion of the industry’s total carbon footprint. The group uses this small change to argue against the need for additional environmental protections. But, again, they don’t acknowledge that the estimates of emissions from other sources – like tanks — have actually gone up. Methane emissions from oil and gas development are a critical threat to our climate, but they are also one of the quickest, cheapest, easiest things we can do to make a direct impact on the warming we’re experiencing right now. 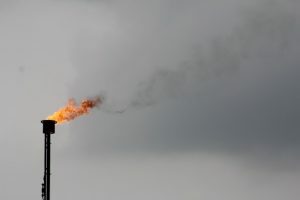 The International Energy Agency says 75 percent of global oil and gas methane emissions can be reduced with existing technology, and half the emissions can be reduced at no net cost. In recent years, the EPA and the Bureau of Land Management have both made efforts to curb industry’s pollution – efforts that are now under attack by the current Administration, and spurred on by misleading rhetoric from industry trade groups. This does a disservice to the American people and to the industry itself. In fact, by BLM’s own accounting, removing the methane standards that apply to our nation’s public lands will result in $1 billion of lost gas and pollution costs to the American taxpayer. Many states have taken action to reduce oil and gas emissions with no detrimental economic impact to the industry. Commonsense policies that ensure oil and gas companies operate responsibly can be a boom to local economies. Producers in Colorado, which was the first state in the nation to require companies to reduce emissions, recently reported record-breaking production numbers. Groups like Texans for Natural Gas ought to consider the benefits that pollution reduction policies can have on the environment and the economy before cherry picking data to make arguments that work against their own interests. This entry was posted in Air Quality, BLM Methane, Methane, Natural Gas. Bookmark the permalink. Both comments and trackbacks are currently closed.